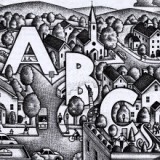 A community's comprehensive plan is not just a file cabinet full of plans for future streets; parks and recreation; housing; fire protection; environmental protection; historic preservation; land use zoning; sewers; ground drainage and flood protection; water supply and distribution; downtown rehabilitation and parking; school location; and community character. 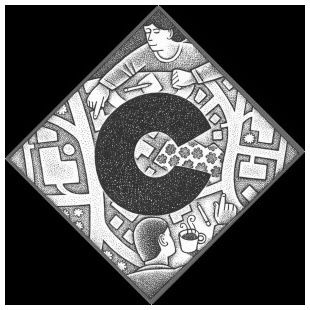 More importantly, the comprehensive plan is an integrated statement of the aspirations of the community ("this is what we will ourselves to be") illustrating how the various function-specific plans in the community file cabinet are tied together to achieve a broad array of community objectives. The comprehensive plan (also often referred to as the "master plan" or "general plan") is a practical vision of the future capable of shifts in detail and arrangement over time as available resources and public preferences change. Note the juxtaposition of the words practical and vision in the preceding sentence. The comprehensive plan is practical in that it lays out a series of objectives that the community realistically intends to accomplish over the coming years. The plan also reflects <i>vision</i> in that it encapsulates the community's goals and aspirations for its future. While comprehensive plans typically include a "land use" component, this is not zoning. The land use element of the comprehensive plan is a more generalized statement of the objectives of future actions -- to be implemented, in turn, by detailed and immediately effective zoning, subdivision regulation, and other land use ordinances. Both the comprehensive plan and the capital budget (see B is for Budget) were introduced in Cincinnati in the mid-1920s as part of a successful political reform movement. Acceptance of the comprehensive plan idea, however, spread slowly. 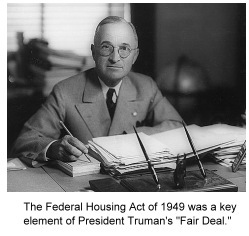 It received its first major boost in the federal Housing Act of 1949, which conditioned receipt of federal central area redevelopment funds on compliance with a community plan. The widespread development of local comprehensive plans was further stimulated by the federal Housing Act of 1954's provision of matching funds (through Section 701 of the Act) to communities for developing such plans. Unfortunately, by 1970s, very few of these "701" plans were being kept up-to-date. Instead of allocating funds to maintain dynamic and useful comprehensive plans, many cities and towns fell back on "winging it" with uncoordinated function-specific plans, redevelopment plans, and neighborhood area plans that rarely met more than short-term local functional needs and those of special interests. The pendulum began to swing back in the other direction in the late 1980s and '90s as a growing number of states began to require that all units of government prepare comprehensive plans. 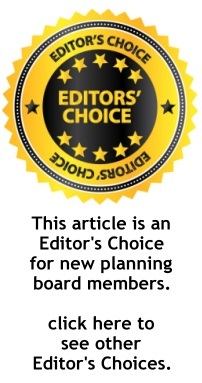 Some states specified the minimum content for these local plan; made adoption of a comprehensive plan prerequisite to the enforcement of local zoning power; and/or required substantial compliance of zoning ordinances with comprehensive plan objectives. Several states also required that local plans be consistent with adopted state planning and development objectives. By the start of the new century, there was renewed interest in the use of comprehensive plans, as many planners -- both professional and citizen -- rediscovered the benefits of an integrated, comprehensive approach to fulfilling community aspirations and functional objectives.